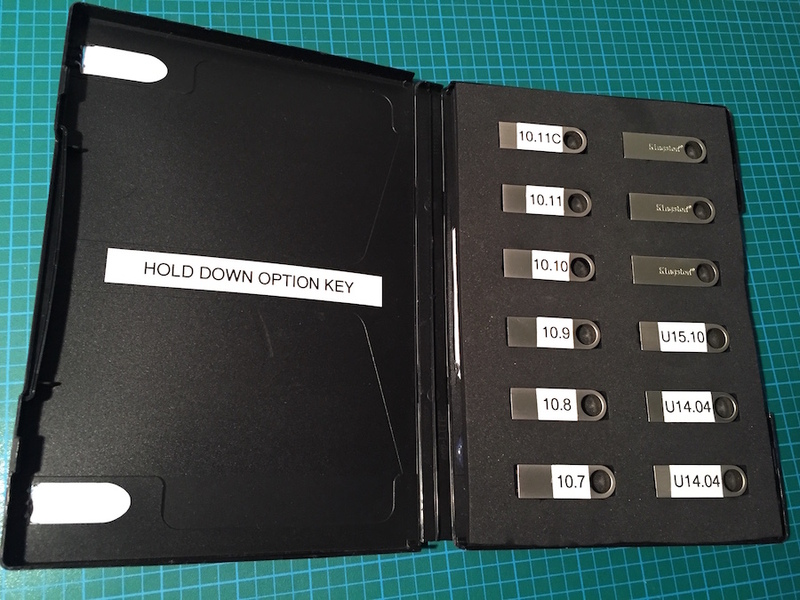 I have a collection of USB keys each different version of OS X and Ubuntu so that I can do a complete reinstall from scratch. The collection was rattling around in my desk drawer, which was annoying. What I really wanted was to put them in a case, ideally one that matched the other dvd and cd cases. I quickly sketched up an initial design which involved carving up a dvd case and adding foam inserts. The first stop was at one of the last video rental stores in Toronto, Queen West Video, and buy some old dvd cases. I took a new, sharp hobby knife, put a thick piece of cardboard between the clear cover sleeve and hard plastic and carved out the raised plastic. 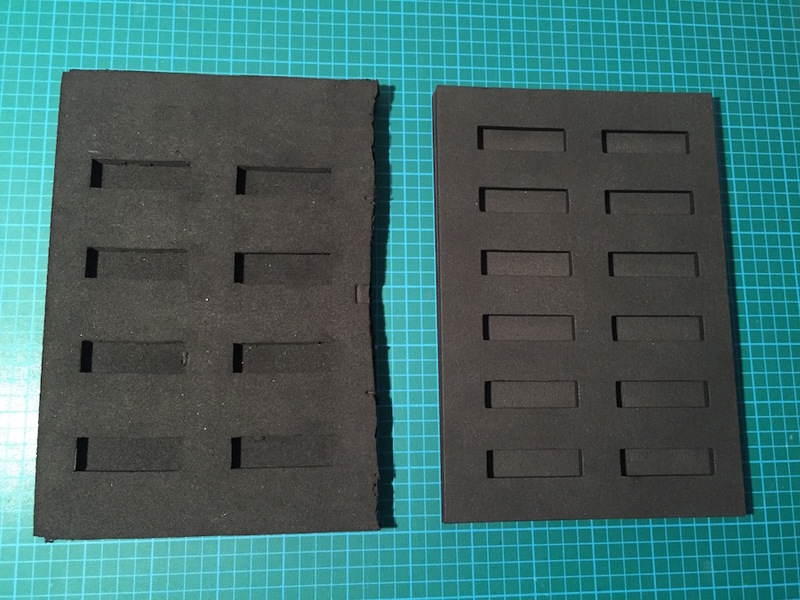 After searching for appropriate foam, I settled on carving up some mouse pads after peeling the fabric cover off. I eventually ordered a bunch of mouse pads from Newegg. I first trimmed two mouse pads so that they would fit in the dvd case. Two mouse pads are the perfect thickness. I laid out the USB keys on a piece of paper and transferred that to the foam. Again with a hobby knife, I carved out the mouse pad. The results weren’t great. I mean they fit, but even with a sharp knife, the edges were crapy. What I really needed was a laser cutter, but at $10,000, not in the budget. Enter the Toronto Tool Library. Among other cool toys, they have a Lasersaur. So I signed up for a membership, attended a training session and with the help of OmniGraffle Pro (Pro exports to SVG) I created two files to cut. One for the backing foam layer and another with the usb cuts. The cutting was pretty easy, only took a few seconds. The one issue I had is that the round finger pulls were not recognized by the Lasersaur software. Not sure why. 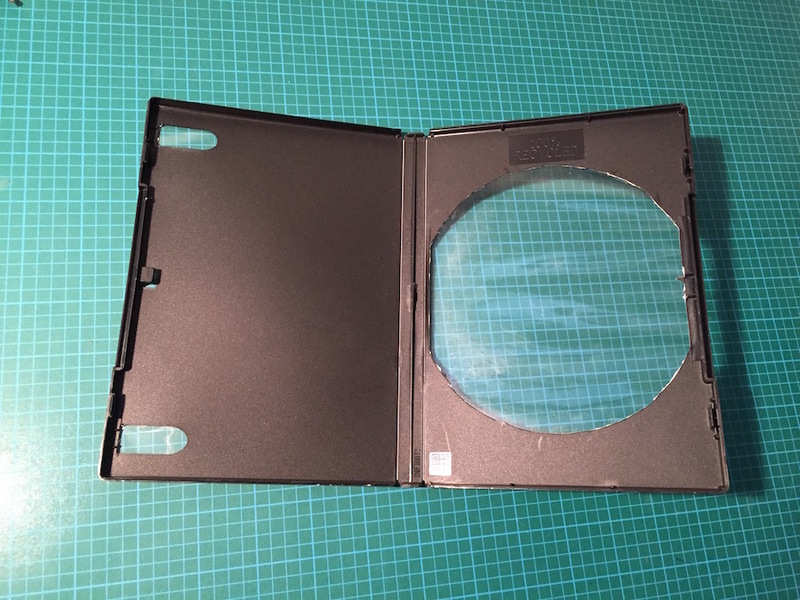 I hot glue the foam layers together and then the foam to the dvd case. I am pretty happy with the results, the difference between a manual hobby knife and a laser is dramatic.